Steve Vai is the fourth son of John and Theresa Vai, an Italian immigrant family from Carle Place, New York. Steve Vai started to take guitar lessons at a young age of 13 years old and from none other than Joe Satriani. They attended the same school as well. And it is also fascinating that years later, they extensively toured with their Live-only act G3 along with John Petrucci and other notable guitarists. Steve Vai is the mastermind designer behind the infamous Ibanez Jem which ever since its original release in 1987 has become one of the most successful signature series guitar in the history. Steve Vai also designed the Ibanez Universe which was the first commercially produced seven-string guitar. In 1979, while Steve Vai was enrolled at the Berklee College of Music, he worked as a music transcriber for Frank Zappa. In 1987, while on his way to an inaugural tour for the band David Lee Roth, almost all of Steve Vai’s guitars got stolen. The renowned guitarist claims that he has been coming up with 2- 3 song snippets on a daily basis ever since he was in high school. While interviewing for Songfacts in 2015, he claimed he will need ten lifetimes to record all of the snippets he has come up with so far. One of the most popular games of all times, Grand Theft Auto: Vice City also featured Steve Vai’s guitar work in the video game in 2002. 8 - Vai’s Practice Routine Spanned from 10 to 15 Hours a Day! 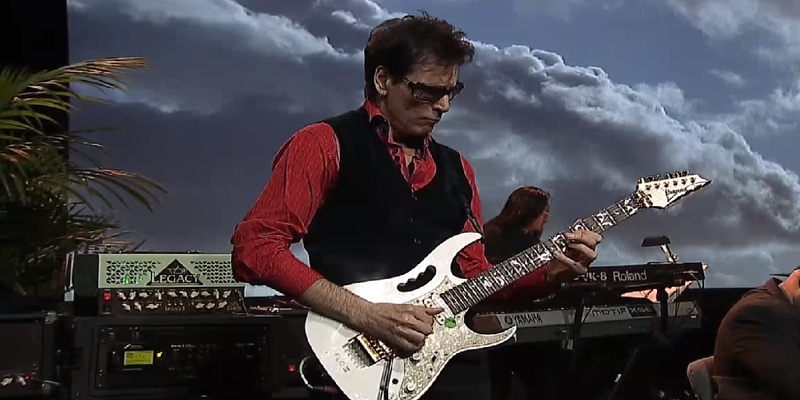 Steve Vai followed a strict practice routine of playing his guitar for 10 to 15 hours a day in a structured and rigid manner. Vai met his future wife, Pia Maiocco, while he was a student at Berklee College of Music. They have two children together and live in Encino, Los Angeles. It might come up as a surprise to some but the Devil’s guitar player is actually a vegetarian. While Steve is not melting people’s faces off with his majestic riffs, he spends his time beekeeping in his Encino property. Steve Vai made an appearance in the 1986 film ‘Crossroads’ in which his character is portrayed to have a guitar duel with Ralph Macchio but in reality, Steve Vai played and recorded most of the guitar parts played by Macchio.